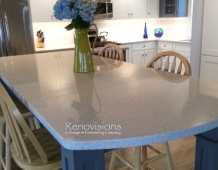 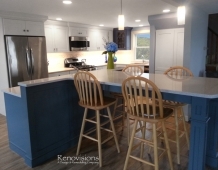 To create a unique kitchen, we take inspiration from the personality of our clients;it’s a collaborative effort to develop the exact look and feel that best suits their lifestyles. The challenge of this kitchen was to re-build the existing kitchen and adjoining full bath, creating a much better flow with plenty of storage for this active family (as they often entertain seaside). 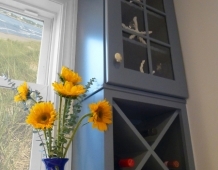 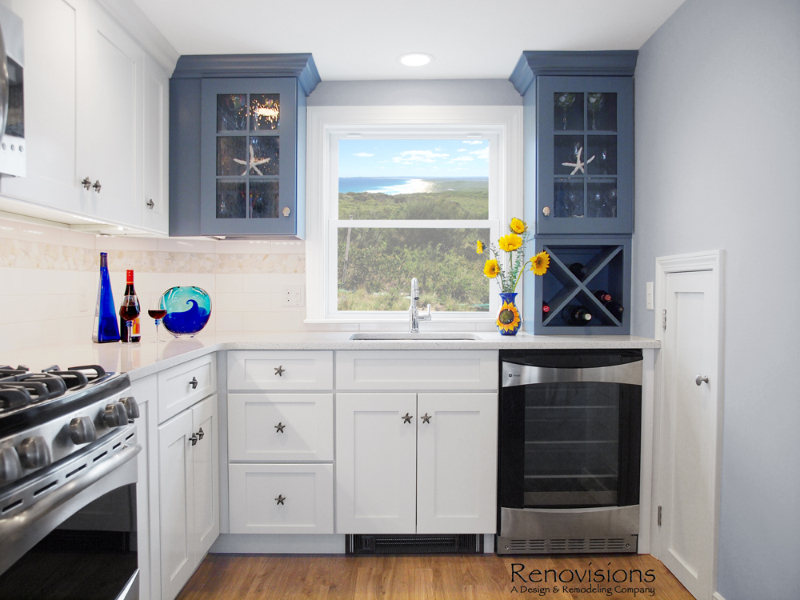 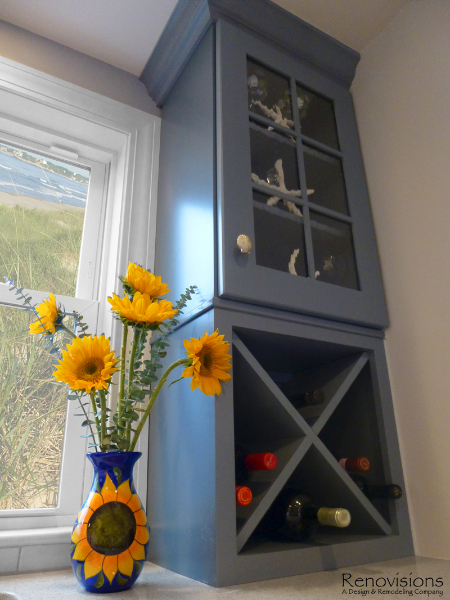 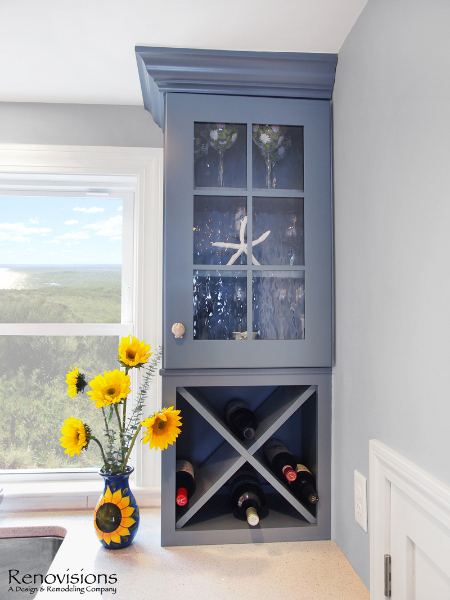 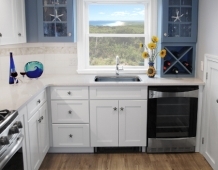 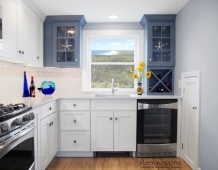 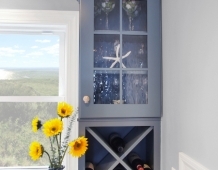 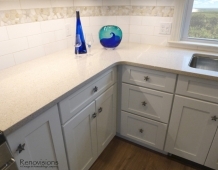 The two-toned cabinetry in both white and laguna blue reflected a true beach-feel adorned with a terrific choice of starfish and shell shaped hardware to draw attention to this creative and beautifully transformed seaside kitchen. 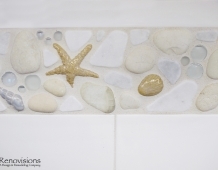 We remind our clients that in order to be unique, do something unique! 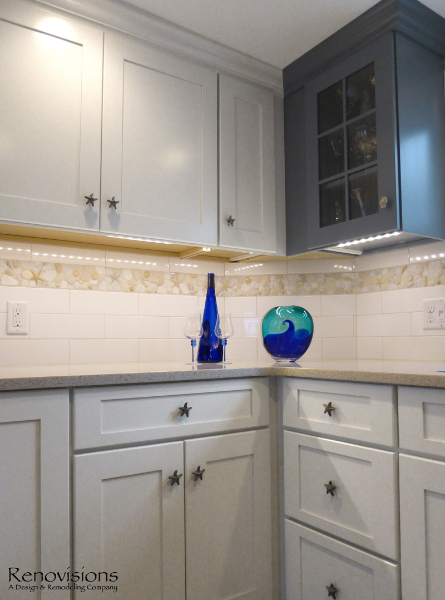 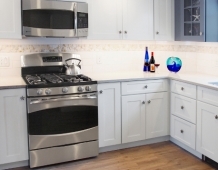 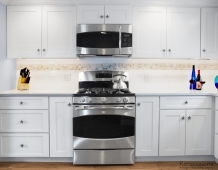 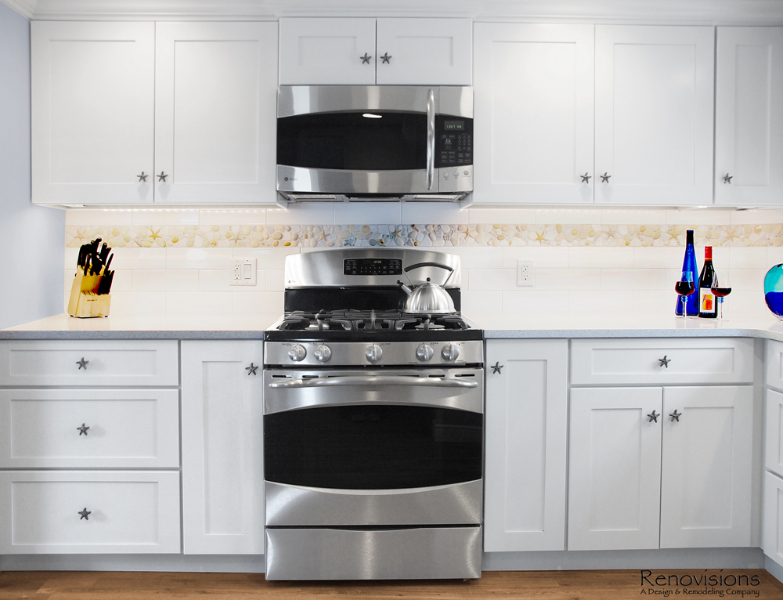 And this is nicely demonstrated in both the layout, color scheme and backsplash design details. 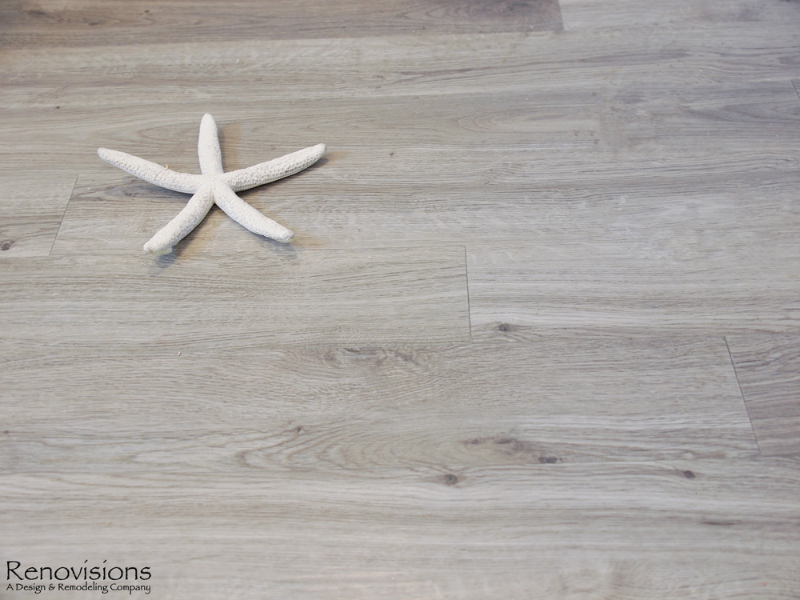 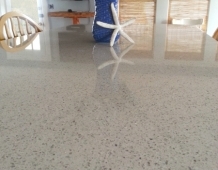 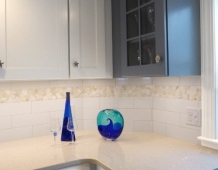 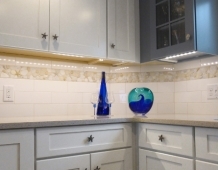 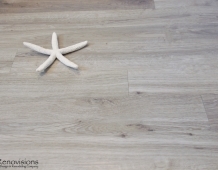 Our client selected several hand painted decorative ocean creatures for the backsplash, drawing from colors in the room, and this created a truly unique conversation piece! 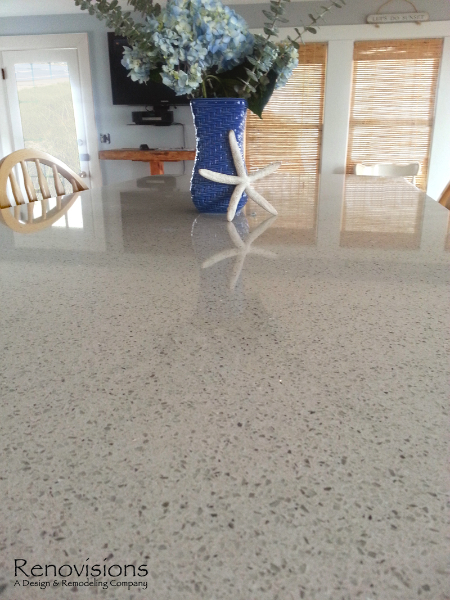 A glint of sparkle from the white quartz countertops brings you closer to the beach in this impressive oceanfront home. 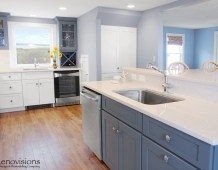 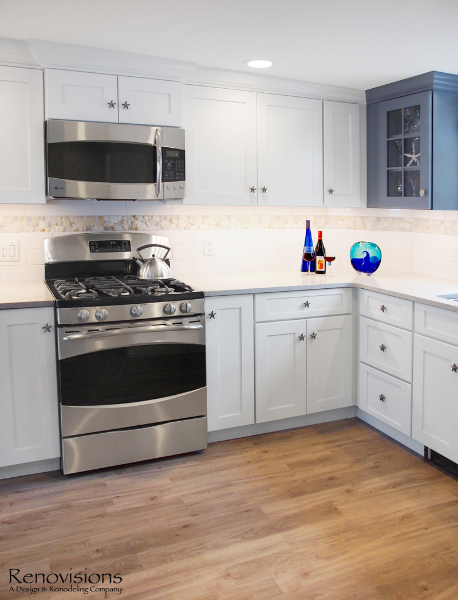 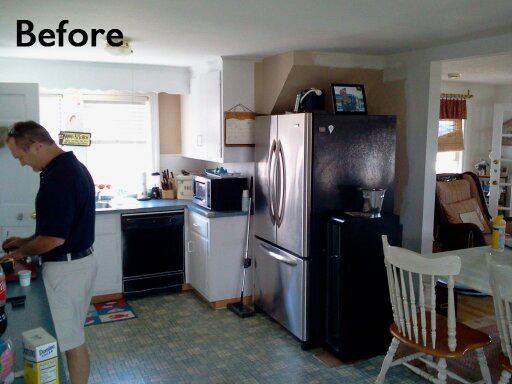 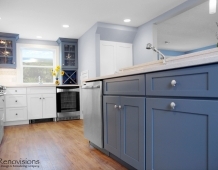 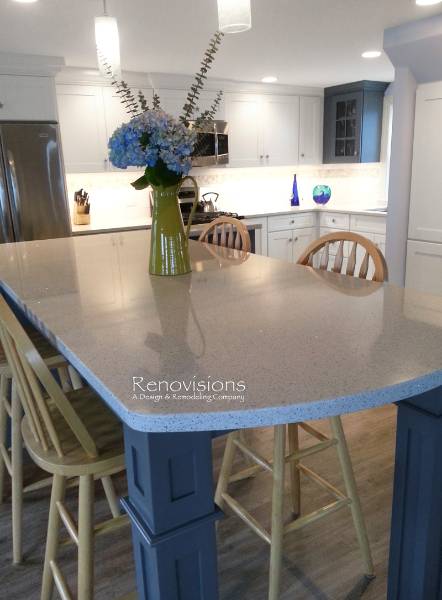 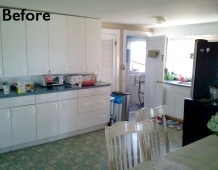 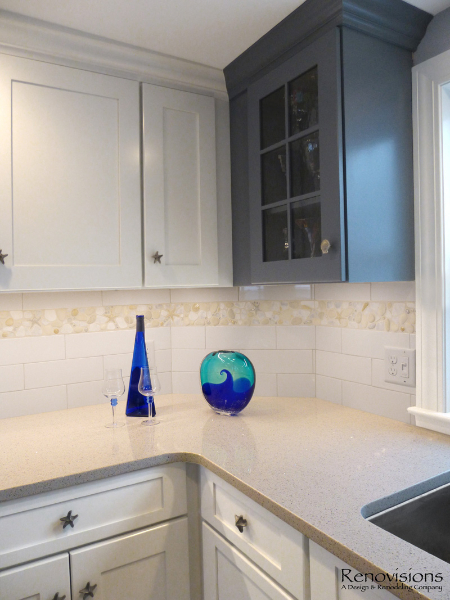 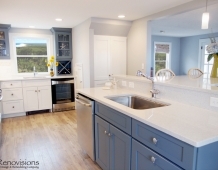 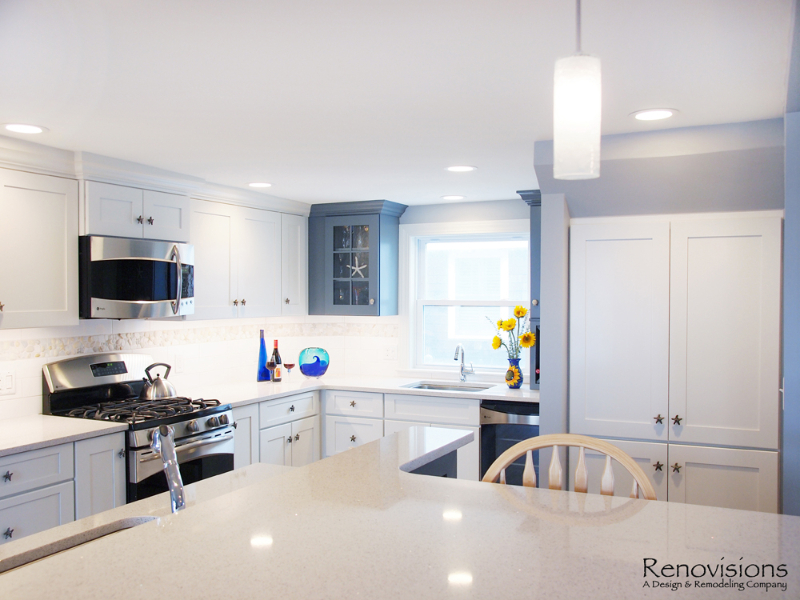 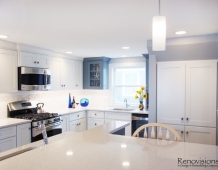 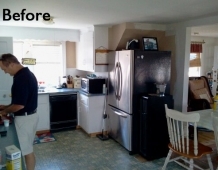 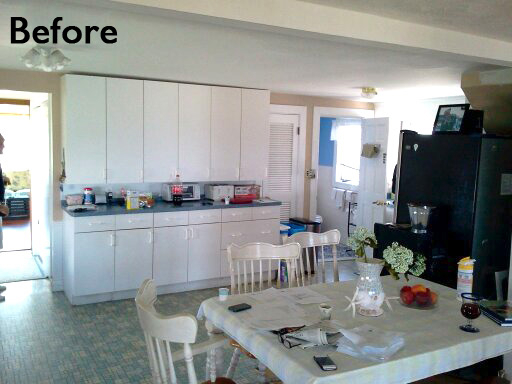 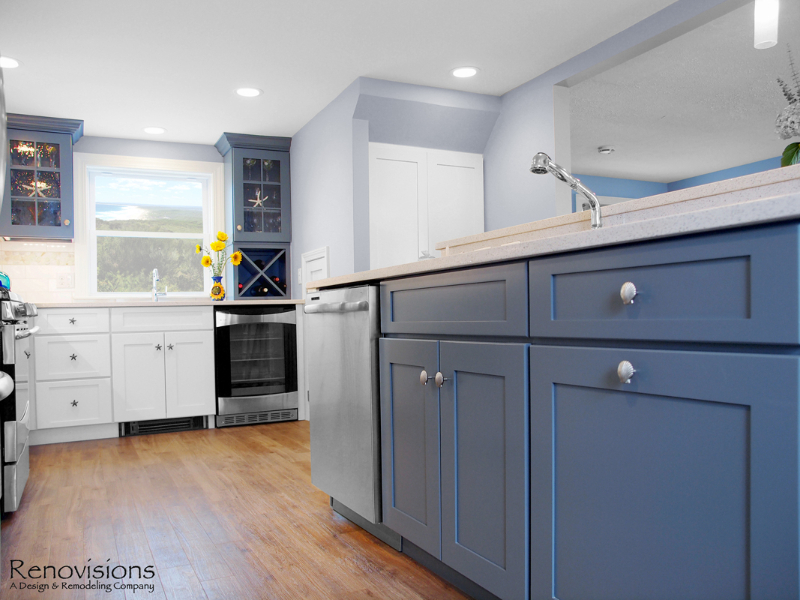 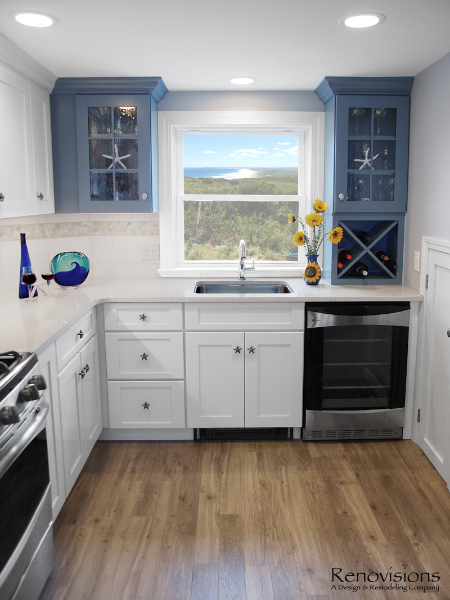 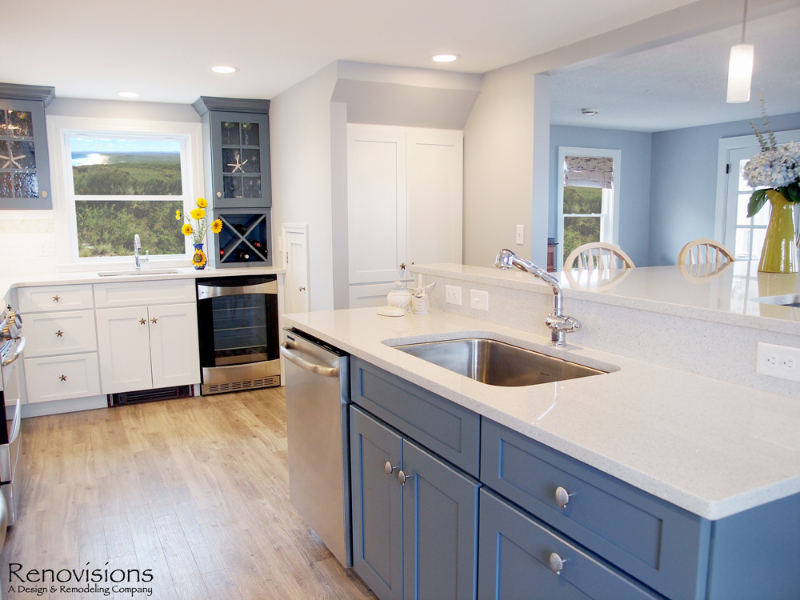 From flooring to ceiling, we created a picture perfect beautiful beach house kitchen that is not only functional but provides a relaxed and inviting feel for these seaside owners. 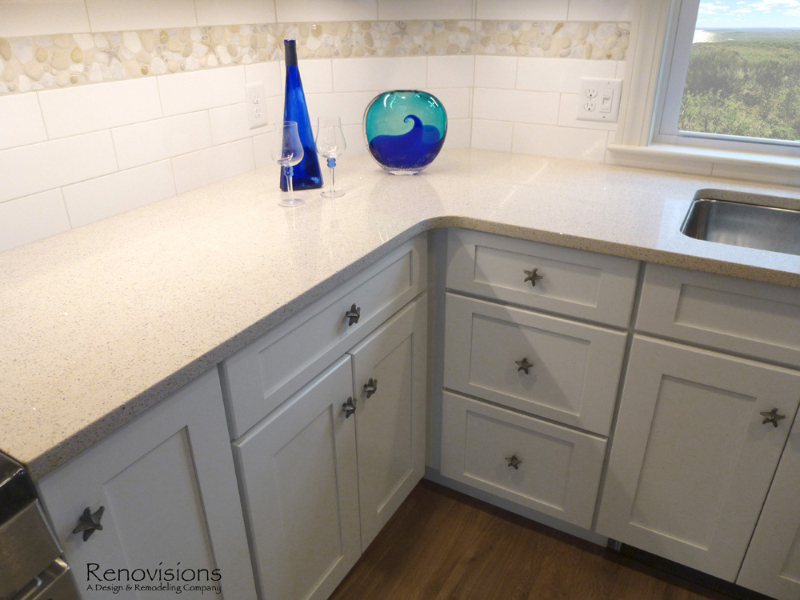 – John & Linda M.